We will be closed on July 4th. Have a safe and happy holiday! Consider using plants that support wildlife such as birds and pollinators. 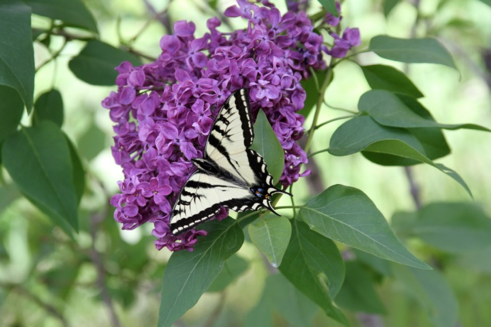 Fruit-bearing and flowering shrubs and trees, perennials, annuals and bulbs all provide food for birds and pollinators. The bonus? They look spectacular too! Reduce the amount of water wasted by irrigating early in the morning or in the evening, adjusting sprinklers to water only your plants ( and not your driveway!) and employing soaker hoses to water the root zones of trees. Healthy soils lead to healthy plants. Healthy plants are less prone to stress and insect infestations, requiring fewer chemical controls. Amending soil yearly with compost and using organic fertilizers will help improve soil quality. Mulch helps preserve soil moisture, suppress weeds, improve soil fertility and enhances the appearance and health of your plants. Use organic techniques and materials whenever possible. 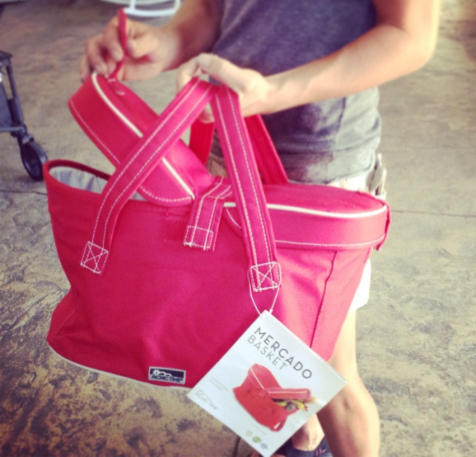 There are many natural and organic products for fertilizing and pest control available for the home gardener. Who spit on my plants? If you are asking this question, you have seen the evidence of the spittlebug. Spittlebugs are tiny insects that emerge in the spring and feed on a host plant through the growing season. 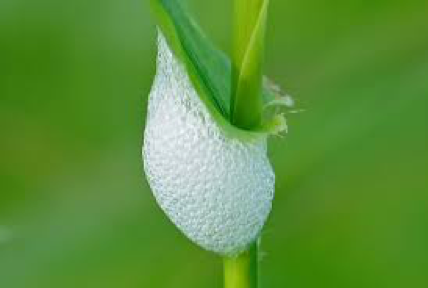 They secrete a foamy white substance to protect themselves while they are on the host plant. Although unsightly, these bugs do very little damage to the plants themselves. A quick blast with a strong jet of water is usually all it takes to get rid of them. A good fall clean up will help prevent next year’s infestation, removing dead plant material where the eggs can over winter. This recipe uses either raspberries or red currants. The red lake currant is a tough, berry producing shrub in our region. Beautiful red berries hang in heavy clusters mid- summer. If you have a currant bush try this recipe. If not, plant one and enjoy its beauty and tasty fruit! The layers of these popsicles can either be swirled together as shown in the photo or left in place. 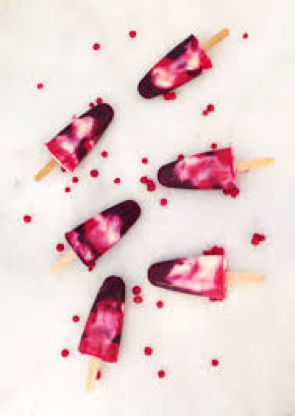 Pour the three mixtures (red currant, blueberry, yogurt), alternating, into popsicle moulds to create 3 – 5 layers of the mixtures. With a thin knife or skewer insert into mixture and swirl together slightly in an up-and-down motion, or leave the layers in place as they are. Insert popsicle sticks and freeze until solid. 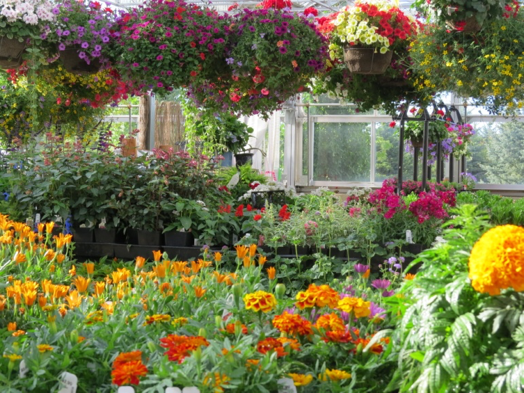 How are your annual flowers and hanging baskets looking? By July, these plants need a little help to keep them looking good. 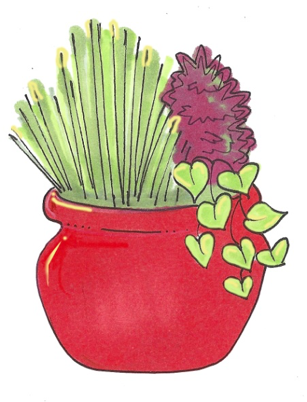 Remove any dead foliage and blooms and cut back any plants that are getting too long or ‘leggy’. Water deeply and regularly, especially those plants that are in full sun and windy locations. Fertilize weekly with a liquid plant food. This will keep the foliage green and keep the blooms coming. 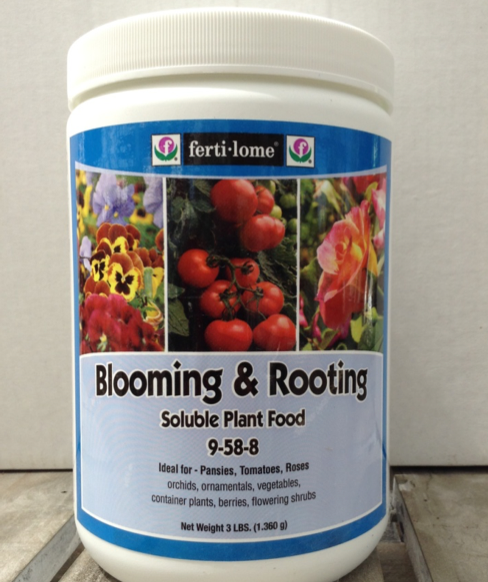 We love fertilome™ brand blooming and rooting plant food. A little maintenance and care will keep your flowers looking pretty all summer.